Q: I will be hosting a few events in my backyard this summer and I want my lawn to be in top notch shape. The grass has dandelions and clover. What do you recommend? It's very important that the grass doesn't get damaged in the process of removing the weeds. Great question. Here are a few tips that will help you to have a lush green lawn that is the envy of your neighborhood and any backyard event. 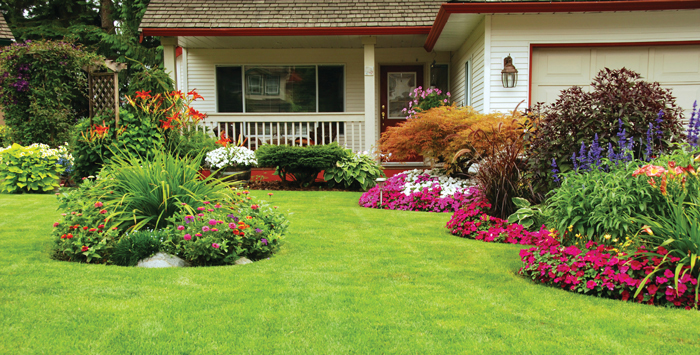 All lawns need food and a good fertilizing program is essential to healthy grass. Weeds have a much harder time competing in healthy lawns. I would recommend a fertilizing program that includes three applications (early May, middle to end of June, and the beginning of August). It’s also a good idea to add lime to your program. Lime balances the pH of the soil, while adding calcium and magnesium, which is also essential. The ideal pH level for lawns in Alaska is 6.5 to 7.2. Your lawn will also require a lot of water. It’s actually better to water your lawn deeply but infrequently. What I mean by this is it’s better to water for an hour once every week or two than for 10-15 minutes every day. Deep watering promotes deep root development and greener grass. Pre-emergents are a great way to stop weeds before they start without affecting existing lawn. However, if weeds such as clover or dandelions are already present there are post-emergents that can be used and will effectively kill any broadleaf weeds without harming your grass. Be sure to read the label and follow the instructions of these products carefully. One final tip: It’s important to cut your lawn on a weekly basis. A healthy height of cut is 2.5 to 3 inches. You’ll also want to sharpen the blades often. Sharp blades ensure a clean cut and won’t rip or tear the grass which often gives the lawn a brownish glean from the damage caused by unsharpened blades. Jared Palenske, the maintenance division manager at Kelly Lawn and Landscaping, received a Bachelor of Science degree in agronomy and horticulture from Brigham Young University. Visit kellyllc.net.